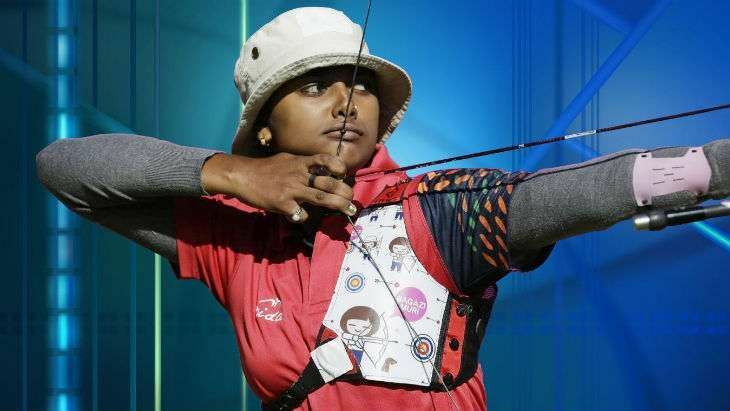 Indian women's archery campaign has come to an end on Thursday, 11 August as both The Indian challenge in Olympic women's archery event came to an abrupt end on Thursday after Laishram Bombayla Devi and Deepika Kumari lost their respective pre-quarterfinal matches. Bombayla was beate 6-2 by Mexico's Alejandra Valencia. Deepika lost 6-0 to second ranked Tan Ya-Ting of Chinese Taipei. Deepika failed to raise her game when it mattered. She lose 27-28, 26-29, 27-30 in a lop-sided contest. During the match, she managed to hit a perfect 10 only once. While Deepika seemed out of sorts in the high-pressure match, Ya-Ting was a picture of composure, calmly striking 6 perfect 10s-three of them back-to-back in the third set. Bombayla endured a disastrous outing which began with a 7 off the first arrow. She lost 26-28, 26-23, 27-28, 23-25 as she crumbled under the pressure. After losing the third set narrowly, the Indian just could not gather herself, striking a 6 off the first arrow in the fourth set, which ultimately proved to be her undoing. The Indian challenge in archery is now being represented by Atanu Das in the men's competition. Atanu will be in action on Friday in the pre-quarters.